Although the agriculture community is well aware of invasive pests and pathogens — including the emerald ash borer, sudden oak death, the giant African snail, the citrus psyllid, the Asian longhorned beetle and many others — agriculture cannot fight them alone. These pests can be transported unwittingly by the general public; therefore, public awareness is needed to prevent accidental transmission. It’s everyone’s responsibility. That’s where www.hungrypests.com comes in. 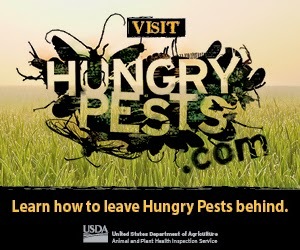 The USDA Animal and Plant Health Inspection Service established the site to educate the public and let people what they can do to prevent the environmental and economic damage these pests can and will cause. The site really is full of simple and clear factual information — what pests to look for, where to look for them, why they’re dangerous, and what to do if you find them. The site also has numerous resources, such as graphic art and ready-made copy, which retailers and others can drop into their marketing newsletters and social media sites, helping their customers protect the landscape and environment they value so much. It is well worth checking out.